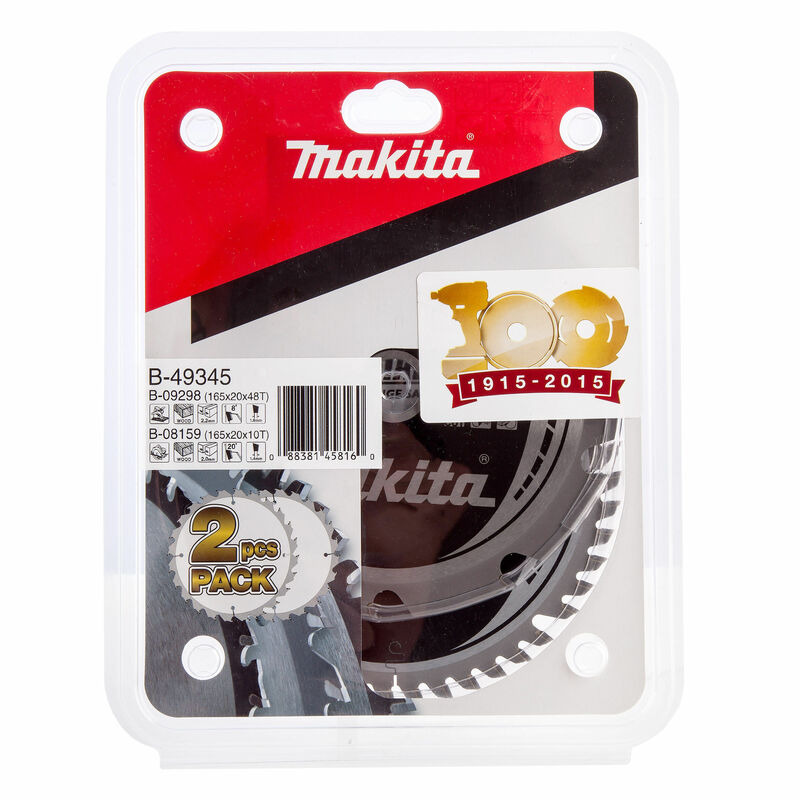 The B-49345 Twinpack from Makita contains two 165mm Sawblades, the B-09298 - 165 x 20 x 48T and the B-08159 - 165 x 20 x 10T, both for Wood. 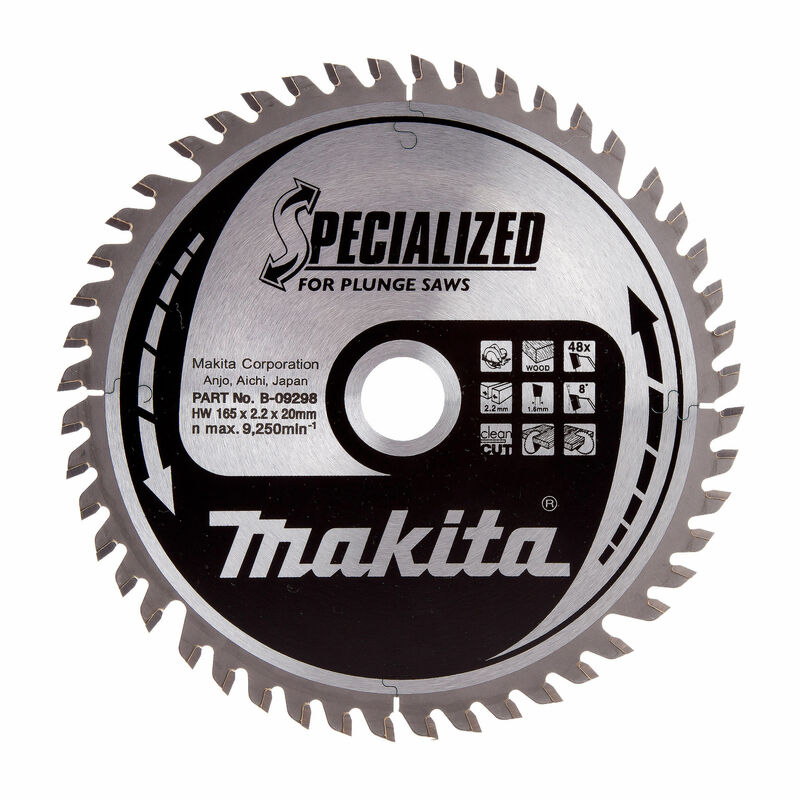 Plunge saw blades carry a similar specification to the Premium MakBlade Plus, with a patented technology dampening vibration. 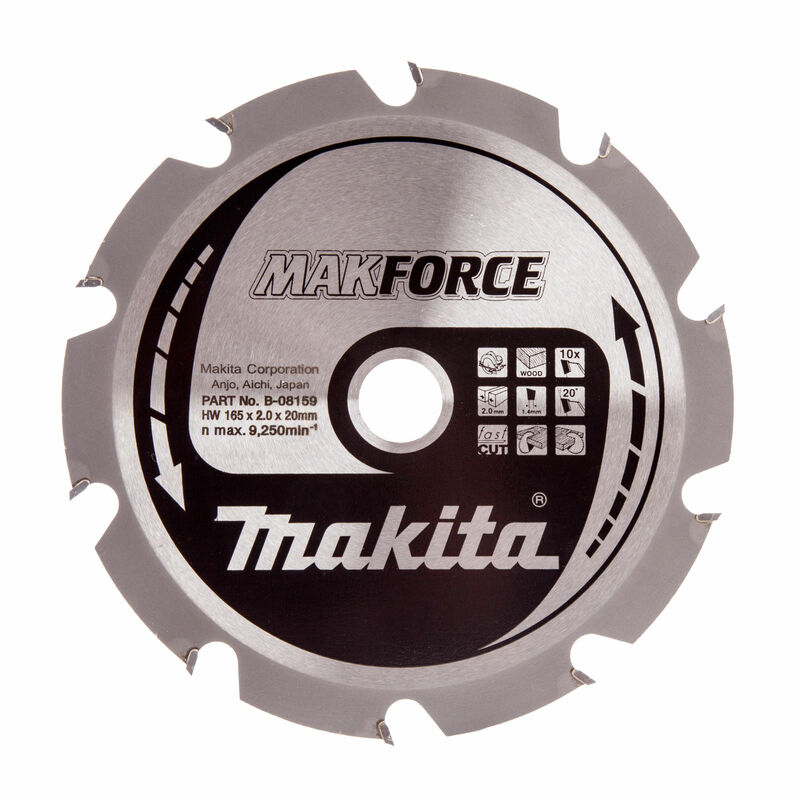 The low vibration blades run truer with less wobble easily plunging into material with little effort. Vibration dampening system featuring resin bond filled laser cuts and body slots. Precision plate tensioning for a flatter blade and truer cuts.